Private at home ? It’s up to you ! With Ombinome, enjoy Belovia’s expertise ! 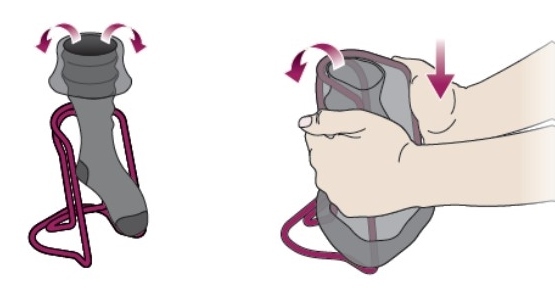 Ombinome affords you an effortless and painless duo method for pulling on stockings. Ombinome is used by duo at home by conjoint or nurses and auxiliary nurses when they visit you. Ombinome is also very practical for pregnant women in duo or solo use. You will find Ombinome on sale in our partner shops. Roll the stocking across the top of Ombinôme to the end. 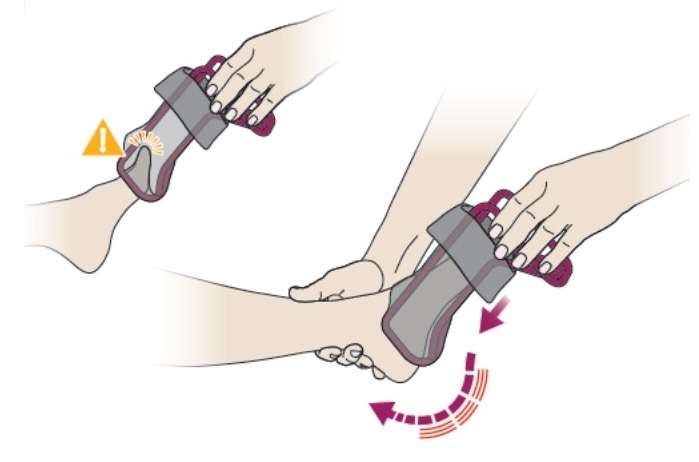 Insert the patient’s foot and move Ombinôme up to the calf whilst ensuring that the stocking is correctly fitted to the foot and the heel. 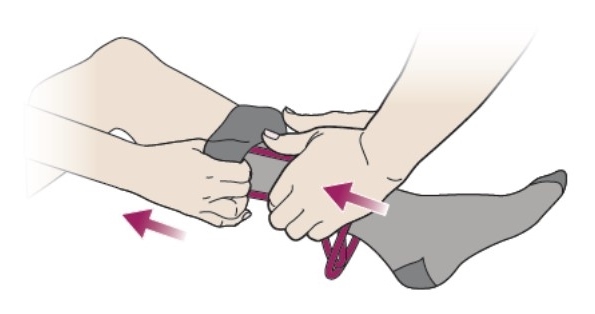 Finish off by gently moving up the stocking, and make sure there is no creases on the lenght of the leg.